10 Tips for Visiting Michigan’s Adventure! Today, I am sharing 10 useful tips for visiting Michigan’s Adventure in Muskegon, MI! If someone is planning a visit for the first time or even returning to the park, these are ten useful things to plan ahead for or to keep in mind during the person’s visit. The main goal of these tips is to have sufficient information to be able to have the best visit possible to the park. Arrive to the park at least 30 minutes prior to the opening time. This will ensure that you get a good parking spot. You can pass through security without a long line and start riding the rides as soon as the park opens. This will save tons of time during the day. Just be sure to check the Michigan’s Adventure website for the opening and closing time on the day you are visiting. Check the day before or on your visit to ensure nothing changed. Keep in mind the differences in opening and closing times for the water park (WildWater Adventure) and the amsusement park (Michigan’s Adventure). Both of these parks are on the property and tickets include admission to BOTH parks. If you want to check out the water park during your visit, check the hours for WildWater Adventure. Many people are surprised when they find out that the hours are different because they didn’t check specific hours for each park. Purchase admission tickets online. For all Cedar Fair parks, people can save $10-30 by purchasing admission tickets online. In addition, be careful if buying your tickets elseware. The parent company that owns the park, Cedar Fair, makes every effort to make sure that people understand to buy tickets ONLY from the official park website. Official sponsors of the park at specific stores also are authorized to sell tickets. Elseware, be extremely careful. Be prepared if you are bringing small children. You may want to measure them before you visit the park and discuss which rides they are able to ride. The best option for riding attractions, especially if they just met a certain height requirement is to be measured at the front of the park. Then when getting in line for rides, the child has a wristband, that determines which rides they can ride. Be aware of the inclement weather and rain policy. This cannot specifically be categorized as a tip… but you are now aware ahead of time. Michigan’s Adventure will not shut down due to poor weather. Rides will reopen on days when rain or a storm has ended. For lightning, most rides will remain open until it reaches within a 5-mile radius of the park. All rides are then shut down and guests are instructed to seek shelter. The park does not offer refunds or rain checks. Also know, WildWater Adventure will be closed if the temperature in the air does not reach at least 65 degrees 2 hours after the park opens. Take advantage of the Parent Swap program. This is especially helpful when a child does not meet the minimum height requirement to ride, or does not want to ride. Signing up for the program is easy – just visit Guest Services near the front entrance. They have additional information and can answer questions. The basis of how the program works is one parent waits in line for the ride. Once they finish the ride, the other parent (waiting in the loading platform) switches with the other so they can ride. This tip may seem more obvious to others, but some people really do not think about it. Ride the roller coasters and thrill rides in the beginning of the day, the earliest chance you get. Much of the park’s crowds come to the park around noon and stay until around 6 p.m. (typical day). The best time to ride the rides are early in the morning or in the evening after 6 p.m. when a majority of the crowd has left. Use the thrill rating factor to determine which rides are appropriate for you. Each ride is rated using this scale. Be cautious, however, because sometimes the ratings are not appropriate for a specific ride. If unsure, there is tons of information, reviews, and videos of the rides online. Search for the ride and your question most likely will be answered. If you are planning on leaving the park and returning again sometime during the day, remember to get your hand stamped when you leave. Ticket stubs or receipts are not valid for readmission. The park has a system to mark a guest for re-entry. If you do not get your hand stamped, you most likely have to talk to Guest Services. However, be aware there is normally no desired solution. Remember: Get your hand stamped. In addition, know the park (unlike most Cedar Fair parks), charges a fee for re-entering the parking lot. This is because the other parks have a system to validate parking purchases, but Michigan’s Adventure does not. This may seem very obvious to many, however, many people forget to do this. The official Michigan’s Adventure website has frequently asked questions with tons of answers, a Guest Assistance Guide full of information. Ride information and thrill factor ratings as well as ticket purchases and park hours are avaliable too. If you do not know an answer to a question, contact the park. If it is not answered before you visit the park you can call the park (after you emailed) or visit Guest Services during your visit. The park’s official website can be visited by following the link: miadventure.com. Using all of these tips will make sure you have enough information about the park and will enjoy your visit. Many people do not have as an enjoyable visit as they should, because they simply do not do any research. Researching, especially for visiting amusement parks, makes a huge impact on the quality of your visit. Many guests get mad at the amusement park because they claim that the information is not clear enough. Many tips seem obvious to most, however, most people still do not follow them. If you consider all of the tips and visit the park’s website for more information, your visit will be enjoyable. I’ve never been to Michigan’s Adventure but, from all the video’s that I have seen, it seems like it is in a nice location. Too bad the coaster collection isn’t that great. It reminds me of a park here in Georgia called Wild Adventures. It too is in nice location but its coaster collection isn’t up to par (unless you just love old style Vekoma). Do you think Cedar Fair will ever really invest in Michigan’s Adventure? 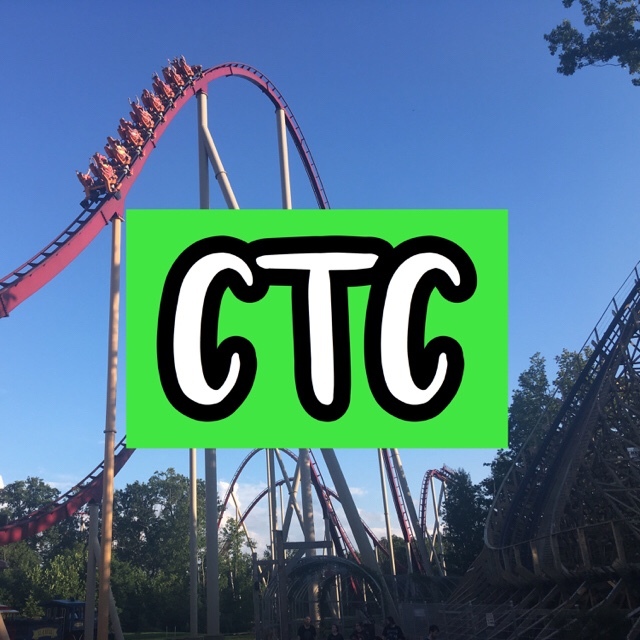 I’m not saying to invest like it was Cedar Point or Carowinds, I’m just saying to invest enough to maybe bring in a smaller coaster or maybe even RMC one of the wood coasters. I agree. The location is a good fit for an amusement park. But it does not get too much investment due to lower profits. I think that the park will eventually be sold and will be independently operated, or by another chain. I can understand Cedar Fair’s decision to not invest too much in it, but they need to make an investment to bring a Hyper GTX or an RMC. Those would be a great fit for the park and would drive more attendance to the park, raising the profits. PreviousTop 10 Parks on My Bucket List!